New concerns have come to light over members of the new European Conservatives and Reformists. The Conservative party are partnering with parties that show sexist, Islamophobic, and anti-semitic tendencies. As leading American commentators describe David Cameron’s European allies as “loopy,” new concerns have come to light over members of the European Conservatives and Reformists. The Conservatives are partnering with parties that show sexist, Islamophobic, and anti-semetic tendencies. 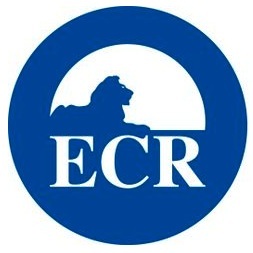 Finally, the ECR includes Peter van Dalen a member of the Dutch Christian Union. The party was aligned in the June election with the Reformed Political Party (SGP). The SGP were found in 2005 by a court in The Hague to have violated the UN Convention on Elimination of All Forms of Discrimination Against Women because, according to the BBC, it refused to allow women to become full members. If there’s one thing we can learn from -all- the EU grouping scandals it’s this. RT @leftfootfwd: Sexist and Islamophobic: Cameron’s European allies http://bit.ly/2Zbq6S Surprise, bloody surprise! You really wonder what the Conservatives gain from linking up with this bunch of scary misfits. After all the fuss, the ECR leader (the lovely Michal Kaminski) appears to be in favour of the Lisbon Treaty. Weird.